Female macroptera. Body yellow with light brown markings on head and thorax; legs yellow, tergites brown medially; antennal segment I yellow, II–VIII uniformly brown to dark brown; fore wings and clavus uniformly brown. 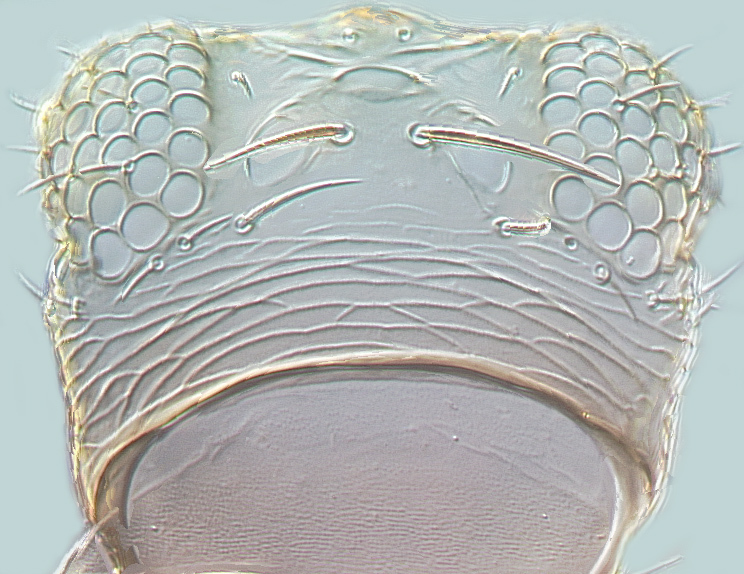 Antennae 8-segmented; segment I with paired dorso-apical setae; segments III–IV distal third narrowed and neck-like, sensoria forked. Head slightly wider than long; eyes with five pigmented facets; 3 pairs of ocellar setae, pair III long, between posterior ocelli. Pronotum with 2 pairs of long posteroangular setae, two pairs of posteromarginal setae. 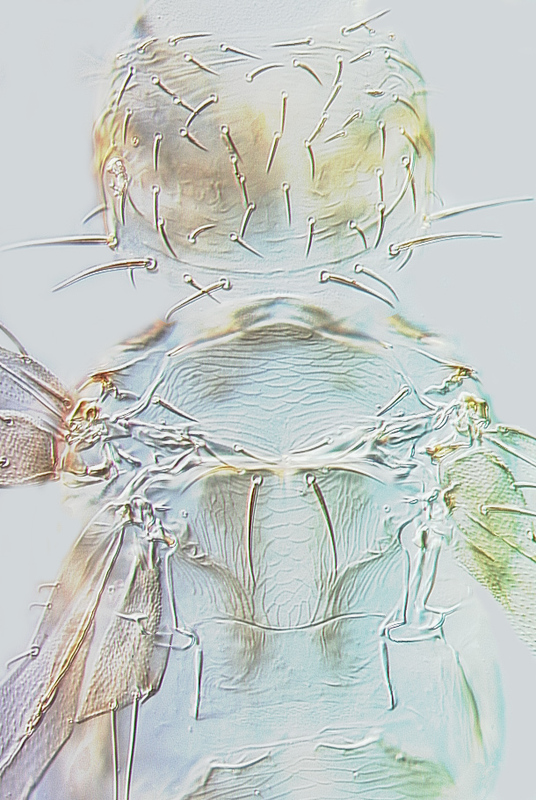 Mesonotum without campaniform sensilla anteromedially; median pair of setae near posterior margin. Metanotum irregularly reticulate medially; median setal pair near anterior margin, no campaniform sensilla. Meso and metafurca with well developed spinula. Fore wing with 2 setae on distal half, near apex; clavus with 5 veinal and 1 discal setae. 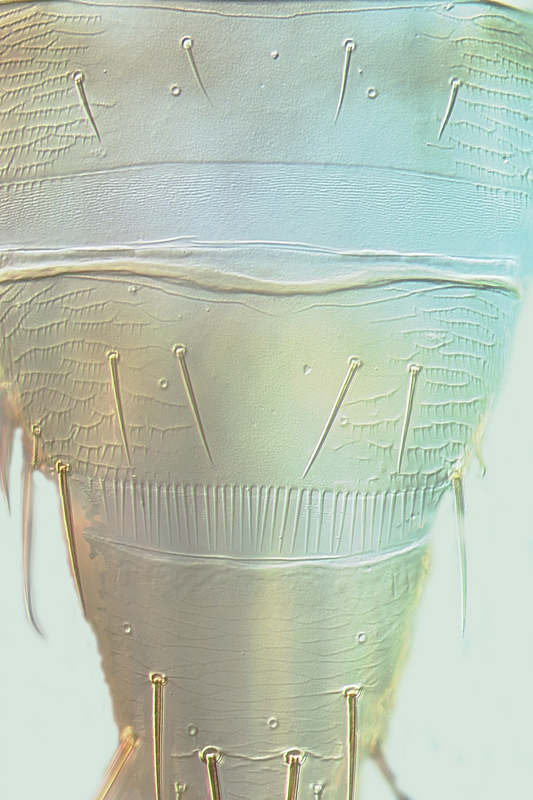 Abdominal tergites without ctenidia and craspeda; with numerous ciliate microtrichia on lines of sculpture; tergites II–VII with microtrichial comb laterally, VIII with complete long, fine comb. Sternites without discal setae. Male macroptera. 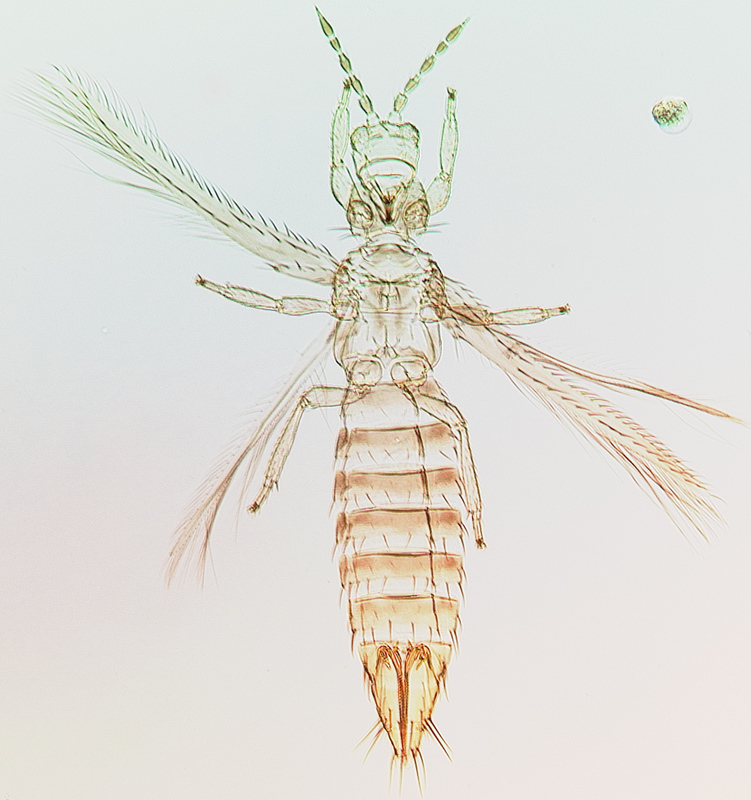 Similar to female but smaller; Antennae 8-segmented, segment VI 0.5 times as long as combined length of I–V, with numerous long setae and without microtrichia; sternites with discal setae, but without pore plates. The genus Mycterothrips, with 27 species worldwide, is primarily Holarctic, but with several species occurring in the Old World tropics including Australia. M. desleyae is one of several species in which the antennae exhibit remarkable sexual dimorphism. The females are closely similar to M. nilgiriensis, but the males have the sixth antennal segment shorter than the length of segments I–V. Masumoto M & Okajima S. 2006. 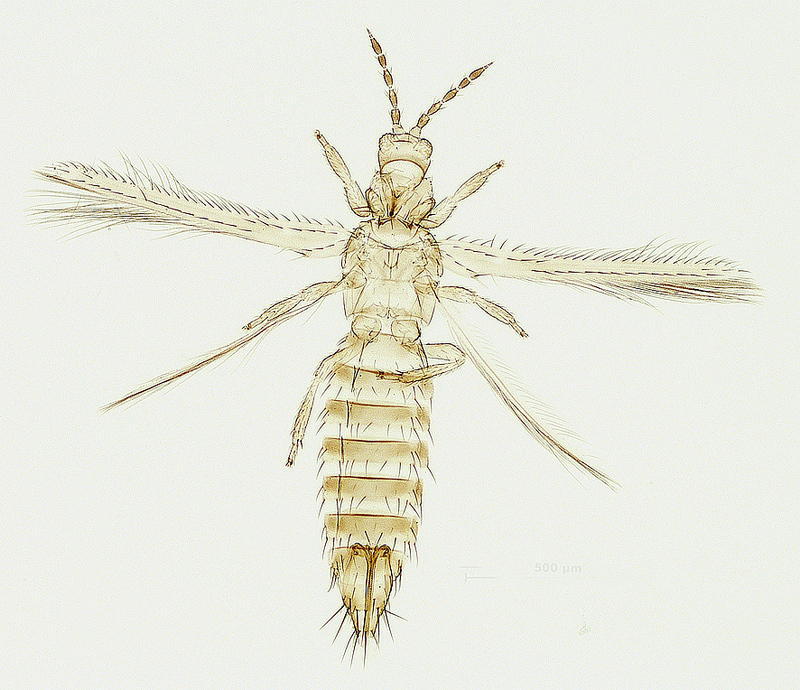 A revision of and key to the world species of Mycterothrips Trybom (Thysanoptera, Thripidae) Zootaxa 1261: 1–90.